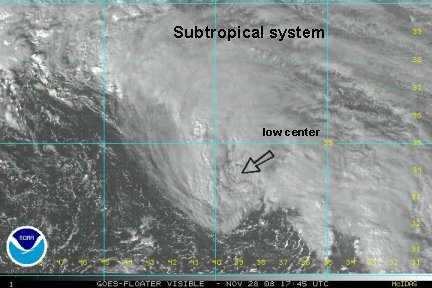 A subtropical low has formed near 33.7 N / 39 W. It is moving northwest away from the Azores. It is becoming extratropical at this point. It may have actually reached subtropical storm status shortly ago. It may not last long enough to be named by the National Hurricane Center though. The only threat would be to shipping.